Oil & Acrylic: Waterscapes offers a unique approach to painting beautiful, scenic waterscapes. Master the art of painting beautiful waterscapes in oil & acrylic. As part of Walter Foster's core How to Draw & Paint series, Oil & Acrylic: Waterscapes offers a unique approach to subject matter that has not been previously covered in other Walter Foster landscape or seascape titles. Beginning with an introduction to the necessary tools and materials, this book also covers basic color theory and painting techniques, such as creating washes, scumbling, and painting wet-into-wet, among others. 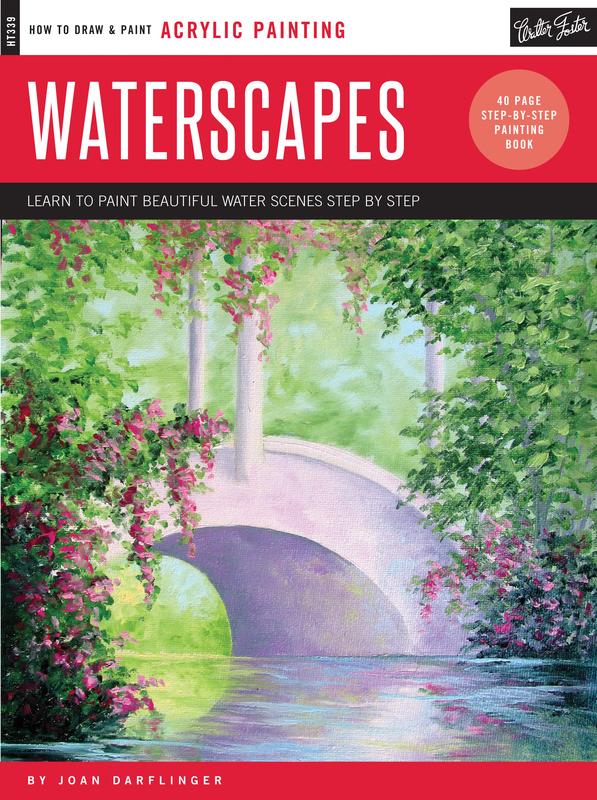 Following the comprehensive step-by-step instructions, artists learn to paint a variety of beautiful waterscapes, including a breathtaking waterfall, a serene pond, a stunning lake, a rushing river, and more--from start to finish. Along the way, professional tips and tricks from an expert artist help beginning-to-intermediate artists learn how to paint reflections, suggest mood and time of day, and render a variety of natural textures, such as stone, bark, foliage, and more. 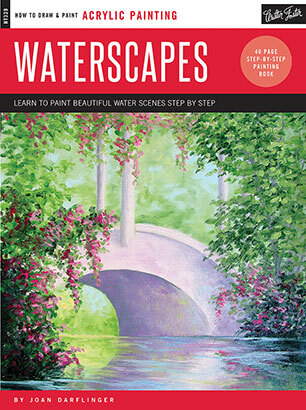 Oil & Acrylic: Waterscapes is the perfect book for any aspiring oil or acrylic landscape artist. JOAN DARFLINGER is a semi-retired, energetic, and dedicated artist. Joan sold her art studio/business after thirty plus years of teaching thousands of students at the Joan Darflinger School of Fine Art in St. Charles Illinois. Joan is now enjoying the next chapter in her life as she focuses on painting for pleasure, part-time teaching, and conducting painting retreats. Every year or two she also conducts World Wide Artists' Adventures, which are en plein air painting retreats all over the world for fellow artists and non-artists. Joan has conducted these painting retreats in Monet's Garden, Giverny, France, as well as many beautiful locations throughout the United States, Italy, Sicily, British West Indies, China, Switzerland, Germany, Sicily, Umbria, The Dingle Peninsula in 2013 and Taormina Sicily and Tuscany in 2014.